SHOP | Imai KInpaku Co., Ltd. 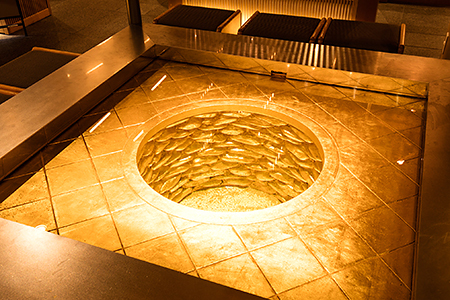 In the showroom, as a Kanazawa gold leaf manufacturer we introduce the beauty and charm of Kanazawa. You can touch products on display and there also will be a detailed explanation about how to use these products. Please experience the charm of the gold leaf with your own eyes and heart. 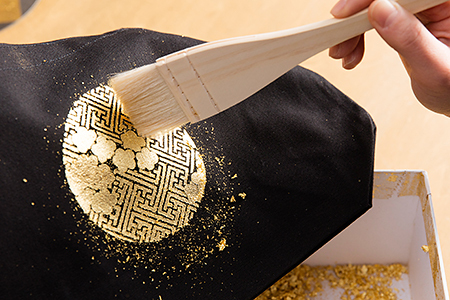 In the hands-on-experience section, you can make your own gold leaf product in a relaxed atmosphere. Let's try making your own gold leaf products! Try pasting a 0.0001mm thick gold leaf onto an item of your choice. Fashionable photo frames and trays pasted with gold leaf. Other base items are also available. Click here for inquiries about craftworks and experiences. Copyright ©IMAIKINPAKU CO.,LTD. All Rights Reserved.